Three years after the United States and the Soviet Union jointly vanquished Nazi terror, the two former allies began a four-decade-long Cold War. While it never ignited into a Third World War, both sides armed for it, trained for it, and planned for it. Patton’s Nightmare explores the use of huge tanks and other weapons prepared for this war that never happened. 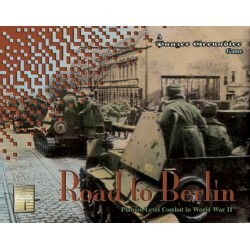 Besides the twenty scenarios, players can take the role of the 2nd Armored Division, V Corps, Third US Army as it fights a hypothetical campaign to seize Berlin from the Soviet forces. 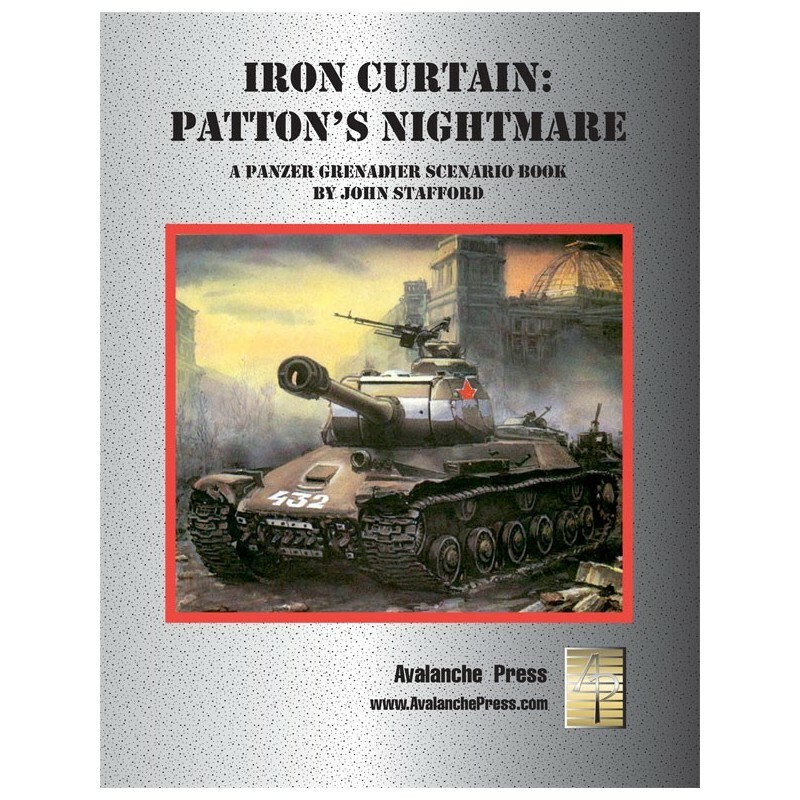 Unlike most other Panzer Grenadier titles, Patton’s Nightmare covers battles that never happened. We’ve given you one plausible scenario background leading to war, that provides the setting and troops for the scenarios and campaign included. Patton’s Nightmare includes 77 mounted and die-cut American playing pieces and this booklet. Playing all of the scenarios and the campaign in this supplement requires the use of the included pieces plus boards and pieces from our Road to Berlin and Elsenborn Ridge games.